CBC Radio Film Reviewer Eli Glasner shares his big screen thoughts on the latest and greatest movies appearing at theatre near you. Some cinema smarts (and snark) to go with your popcorn. Use the links below to download a file. You might remember the Hellboy movies, which started back in 2004. Well, Hellboy is back. But the series has been re-tooled with a new star and an R-rating. If you're looking to take the little ones to the movies, the studio behind movies such as Paranorman and Coraline has a fuzzy, friendly film called Missing Link. With more on those two, plus a quick look at the new hostage drama Stockholm, here's CBC film critic Eli Glasner. Film critic Eli Glasner returns with a new look at the superhero film Shazam! Plus, Edge of the Knife, a new indigenous film that grew out of a mission to save a disappearing language. CBC film critic Eli Glasner returns to look at director Tim Burton's take on the Disney classic Dumbo, plus an edgy new Canadian film called Firecrackers. Oscar winner Brie Larson went from being trapped in a Room, to facing off against King Kong. Now she's taking on perhaps her biggest role yet -- Captain Marvel. It's the first female led film for Marvel Studios. Is Larson the Captain we need right now? To answer that and talk about the backlash around Brie Larson, here's CBC film critic Eli Glasner. This year marks 50 years since Neil Armstrong took those first small steps on the lunar surface. A new documentary takes viewers back to that historic moment. It's called "Apollo 11" -- and opens in select IMAX theatres this week and across Canada next week. CBC film critic Eli Glasner is here to explain why it's a must see. Movie-goers will FINALLY get a glimpse into the male psyche this weekend. Taraji P. Henson stars in "What Men Want." A gender-swapped twist on the 2000 Mel Gibson vehicle "What Women Want." But if you're looking for action...you've probably noticed Liam Neeson has been in the news a lot lately. He's been under heavy scrutiny after comments he made while promoting the new thriller "Cold Pursuit." With more on that...here's CBC film critic Eli Glasner. A new Hollywood thriller brings the tensions at the US-Mexico border to the big screen. Miss Bala is a remake of a 2011 Mexican film. It stars Gina Rodrigues as an American woman who gets caught in the middle of the drug war. CBC film guy Eli Glasner gives us a look at that and the new Netflix series, Russian Doll. Post-Oscar nomination weekend has arrived and the result is a mixed bag at the movies. First up, Serenity, a mysterious new film starring Matthew McConaughey and Anne Hathaway. Then it's a look at the family film, The Kid Who Would Be King followed by a few quick words on the Polish Oscar-nominated movie Cold War. Here's CBC film guy Eli Glasner. "I see dead people." Those four words from The Sixth Sense put director M. Night Shyamalan on Hollywood's radar. Since that time his track record has been rather uneven. Now he's bringing the characters from Unbreakable and Split together, in the new thriller Glass. Plus, for classic comedy fans, Stan & OIlie is a look at the real life struggles of Hollywood icons Laurel and & Hardy. The new movie features John C. Reilly and Steve Coogan as the comedic duo. With more, here is CBC's film guy Eli Glasner . In 2011 a French film called The Intouchables became a box office smash. It's a story about wealthy quadriplegic author who hires a young man as his caretaker. Given its success, it should be no surprise Hollywood decided to remake the movie. Which brings us to today and a new film called The Upside starring Bryan Cranston and Kevin Hart. 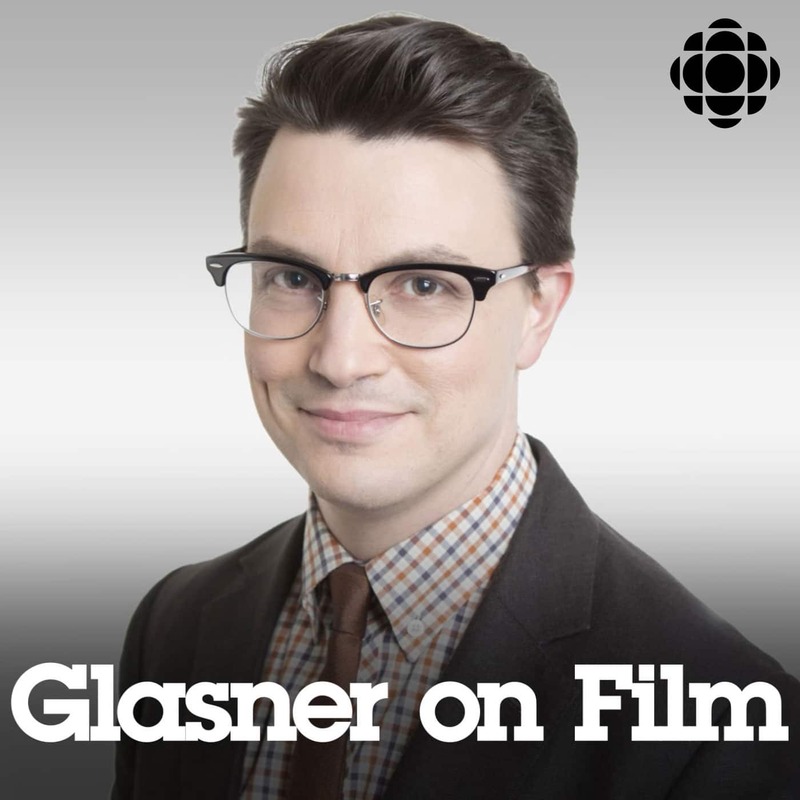 With more on that and a new movie from Lebanon called Capernaum, here's CBC film critic Eli Glasner. The holidays come early for film fans this week with 3 new blockbusters hitting screens. First up, Emily Blunt attempts the impossible in the sequel Mary Poppins Returns. Then it's a look as Jason Momoa in Aquman, followed by the new Transformers prequel Bumblebee. Here's CBC film critic Eli Glasner. There's a mixture of thrillers and action at the movies this week. First up, a look at the new animated movie Spider-Man: Into the Spider-Verse. Then it's a new post-apocalyptic tale from filmmaker Peter Jackson called Mortal Engines. Finally, Julia Roberts and Lucas Hedges star in the addiction drama Ben is Back. Here's CBC film critic Eli Glasner. Whether it's sitcoms or commercials, Hollywood can't seem to get enough of Jennifer Aniston. Now she's launching her newest film...on Netflix. Dumplin' is about a mother-daughter relationship that's tested by a beauty pageant. With more, here is CBC's Eli Glasner. It's a potpourri of motion pictures this week. First up, one of CBC film critic Eli Glasner's favourite films of the year: Roma. Then a new western from the Coen Brothers: The Ballad of Buster Scruggs. Following that, some short takes on the sci-fi film Clara and the royal farce The Favourite. It's Thanksgiving in America and that means a bounty of new movies at the multiplex . This week CBC's Eli Glasner takes a look at some sequels and Oscar contenders. First up, Creed 2, starring Michael B. Jordan. Then we move on to the Disney animated sequel Ralph Breaks the Internet. Plus a look at the Oscar buzz around Green Book and finally Eli rhapsodizes over Willem Dafoe as Vincent Van Gogh in the film At Eternity's Gate. This weekend at the movies, two very different options for fans. First up, it's the latest installment of the Harry Potter prequels, Fantastic Beasts: The Crimes of Grindelwald. Then, a crime thriller packed with an Oscar-caliber cast, director Steve McQueen comes to Chicago with Widows. Here's CBC film critic Eli Glasner. Eli Glasner joins Ontario Morning Host Wei Chen to talk about the heroic but complicated legacy of comic creator Stan Lee. Hollywood loves to recycle and you can certainly see that in this weekend's new releases. Dr. Seuss' The Grinch is a new take on the much-loved tale. For adults, there's the continuation of the Girl with the Dragon Tattoo franchise called The Girl in the Spider's Web. If you're looking for originality, Bodied is a new movie set in the world of Battle Rap. Here's CBC film guy Eli Glasner. The new movie "Bohemian Rhapsody" brings the legend of Freddie Mercury back to life. The film chronicles the rise of the rock band Queen and stars Rami Malek as the lead singer. But the movie had it's share of behind the scenes trouble on its way to theatres. Is this a film for fans... or does it bite the dust? Here's CBC film critic Eli Glasner with his review and a look at the new Disney film The Nutcracker and the Four Realms.